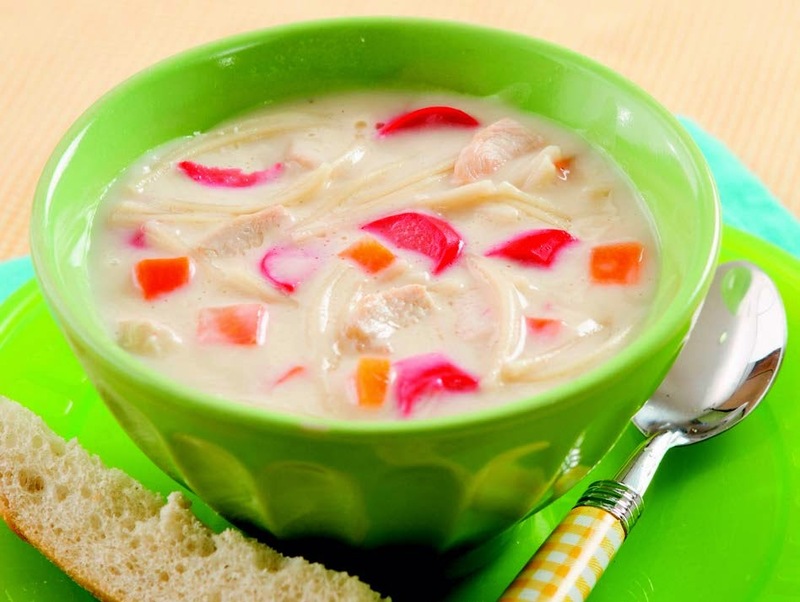 Your little ones will enjoy this milky chicken soup. Perfect for rainy days, sick days, or stay-at-home days with the whole family. 1. Sauté onion, chicken and carrot in 1 teaspoon oil for 5 minutes. Add hotdog and sauté for 1 minute. Set aside. 2. 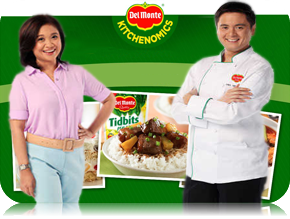 Boil DEL MONTE Spaghetti in 3 cups water for 8 minutes. Drain and reserve 2 and 1/4 cups pasta broth. 3. Combine sautéed chicken mixture, pasta broth and DEL MONTE Carbonara Sauce. Allow to simmer. 4. Add spaghetti, salt and pepper. Cover and simmer for 3 minutes. Add milk and allow to simmer.